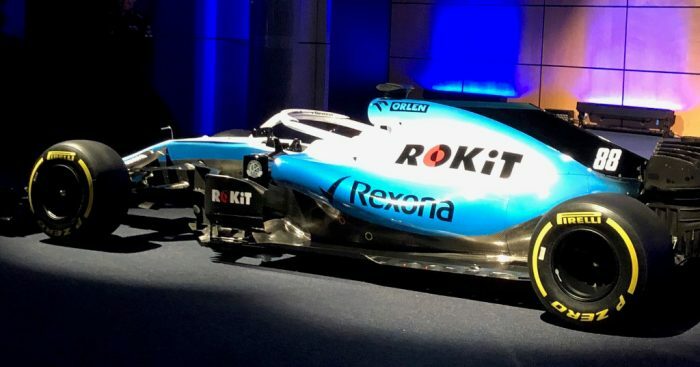 Following Toro Rosso’s unveiling of their 2019 challenger, Williams became the third team to launch their pre-season as they revealed their new livery on Monday. The Grove team’s deputy Claire Williams took to the stage to announce a new title sponsor in ROKiT, a phone company, along with a new name and logo. That was followed by the unveiling of the colours with the team sticking with blue and white, however, different shades to last year. “Williams’ traditional colours are navy blue and white. But I wanted to move away from that. I wanted to show the world we are a fresh, revitalised brand,” said Williams. “We are delighted to welcome ROKiT to our team as our title partner for the 2019 season and beyond. Last season Williams finished a wretched P10 in the championship, the wooden spoon, as they managed just seven points in 21 grands prix. Their season ended with a farewell to both drivers, Lance Stroll and Sergey Sirotkin, and the announcement of an all new line up. This year the team will field Formula 2 champion George Russell along with the returning Robert Kubica. The Pole’s comeback promises to be one of the headlines of this year’s championship as Kubica returns to the grid eight years after suffering severe arm injuries when he crashed at a rally event. But the big question everyone is asking: can Williams provide him with a car capable of effecting a fairytale comeback.